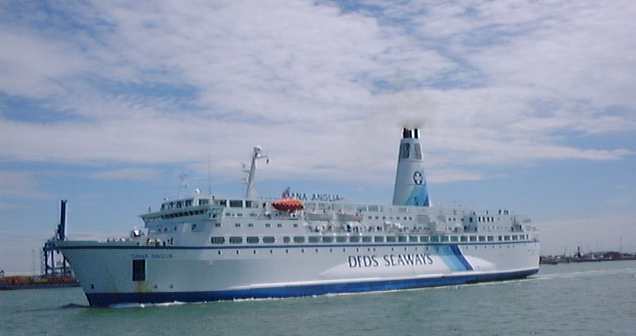 On 21 June 2002, the Balmoral set off on historic voyage to Southwold from Ipswich at 10.00. 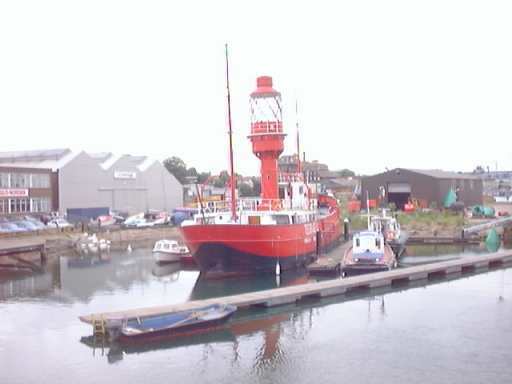 She now sails from the Floating Dock rather than the tidal Cliff Quay. 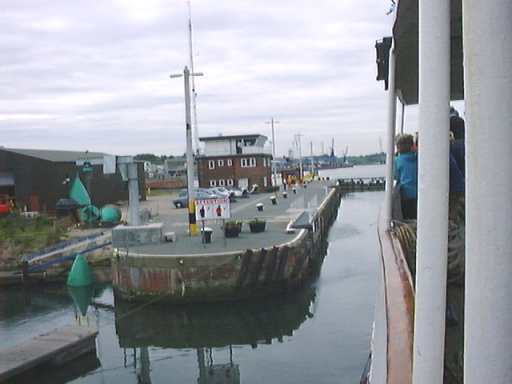 Just inside the lock, the red painted former T.S.Orwell is moored. 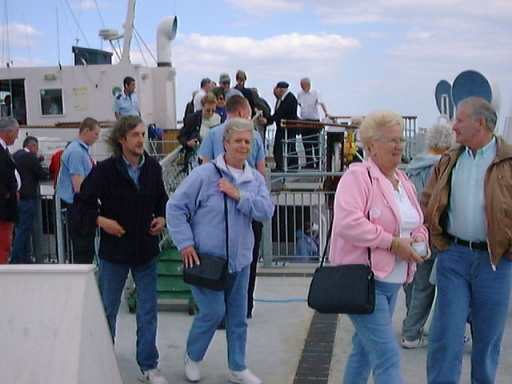 She was once home to part of the Paddle & Pleasure Steamer Historical Trust collection of artefacts. 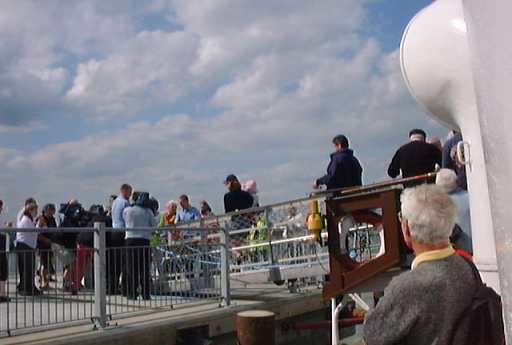 Entering the Prince Philip Lock, inaugurated by the Prince in 2000. 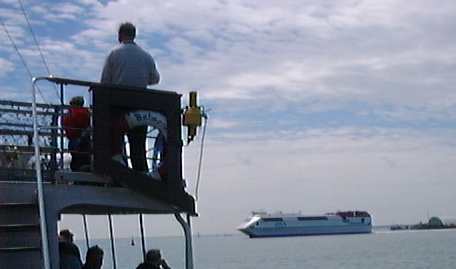 Approaching Harwich, we met the HSS fast craft Stena Discovery heading for the Hook of Holland. 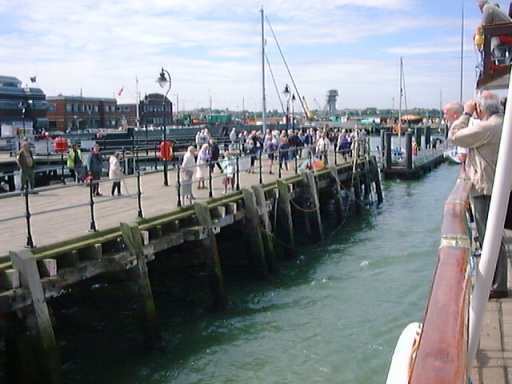 About to come alongside Harwich Halfpenny Pier. Leaving the Haven, we met Dana Anglia inbound to Parkstone Quay. 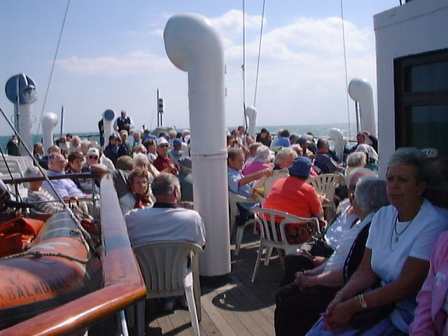 On the lengthy voyage from Harwich to Clacton and Southwold, many passengers took the sun on the After Deck. 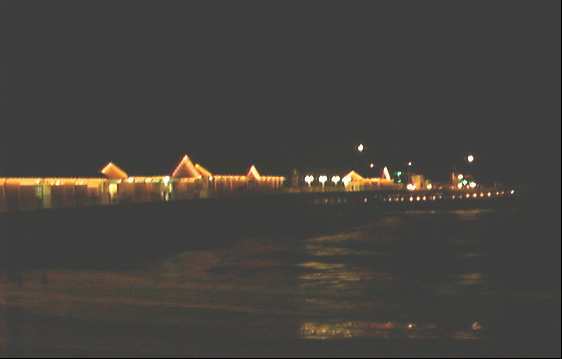 Coming close to Southwold we were greeted by the RNLI lifeboat (left) and the trip boat Voyager. 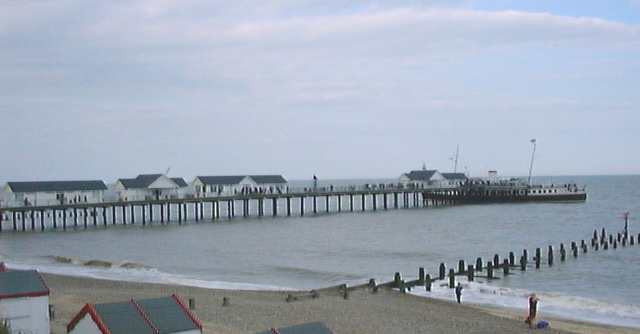 The Pier comes into sight just on time at 16.30. 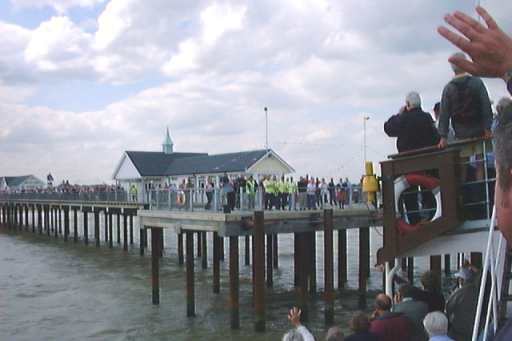 The first passengers to arrive by steamer at Southwold since 1934! Stepping on to the newly finished concrete landing platform. The view from ashore while the Balmoral took a 2.5 hour break between trips. 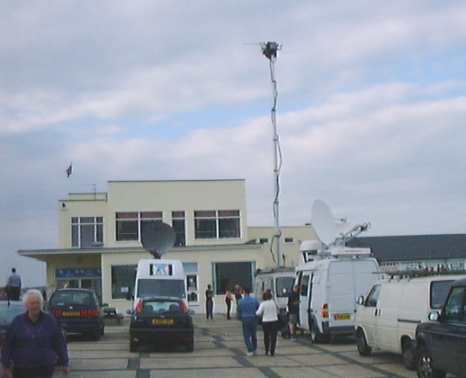 Meanwhile, both BBC and ITV news team broadcast live from the Pier. 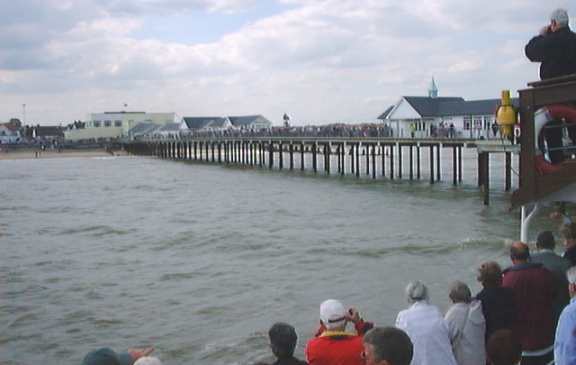 At 19.00, the steamer departed on a 3.5 hour charter in aid of Pier funds. Balmoral back at the Pier Head before going to anchor off for the night.